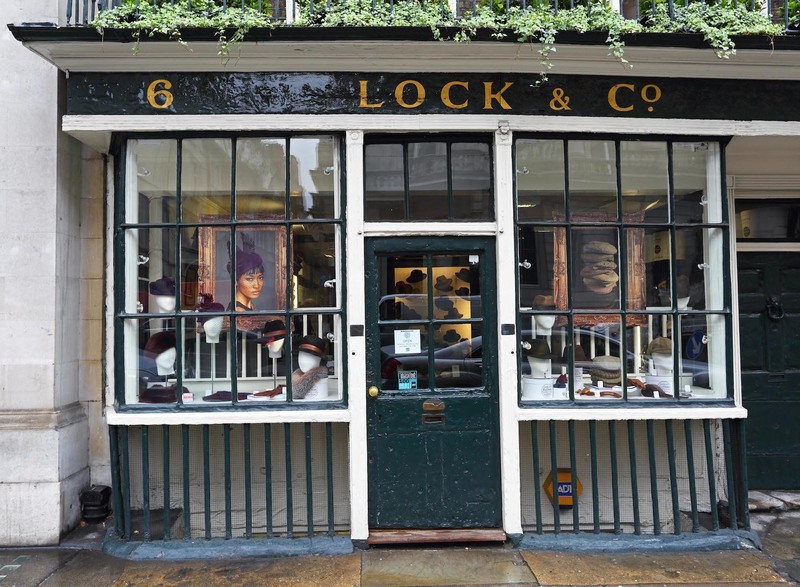 Horatio Nelson first walked into Lock & Co hatters in November 1800. He had just returned from the Mediterranean, and came into the St James’s Street store to order a cocked hat and cockade. The two-cornered style – the same as he would later be carved wearing on Nelson’s Column – was all the rage at the time. Nelson was a horrifically vain man, who had an oft-stated fear of dying badly dressed. On 6th January 1801, just a couple of months later, Nelson was back. He bought another cocked hat, which would be worn at the upcoming Battle of Copenhagen, the bloody encounter that led to Nelson being promoted to Viscount. A few years then passed until his next visit, on 5th August 1805. But this time he commissioned something special in addition to the normal cocked hat and cockade: an eye shade. Nelson had been blinded several years earlier, and finally wanted a permanent covering attached to his hats. So Lock & Co designed a flap that would sit on top of his blind eye, covering it from view (shades of vanity again). At the end of August 1805, Nelson returned for his last cocked hat. This one was worn into the Battle of Trafalgar, where Nelson was shot and later died. Today it sits in memento on top of a wax effigy in Westminster Abbey. Happily, however, Lock’s connection with the Nelson family continues. A direct descendant of his, known only to staff as Mr Nelson, is still a loyal customer. A bit of a character, he rides around London on a tricycle with several Union Jacks flying from it, despite being well into his 80s. Mr Nelson prefers square-crowned hard hats – known as a Homburg most places but the ‘Cambridge’ at Lock & Co – which were also Winston Churchill’s headwear of choice. There are so many stories at Lock & Co that it is sometimes hard to know where to begin – or perhaps more importantly, where to end. They are so treasured that the company recently began a two-year renovation of the archives. All of the ledgers apart from the most famous (Nelson, Churchill and Charlie Chaplin) have been taken to the London Metropolitan Archives, restored and catalogued. 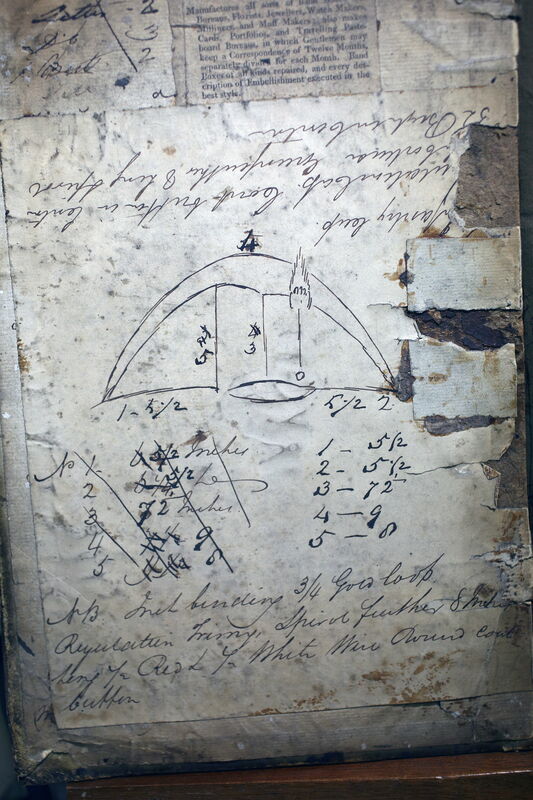 Lock is also building a new heritage room at the back of the shop, which will contain that first order from Nelson, his eye flap design, and several signed ‘head shapes’ created using its well-known ‘conformateur’. This traditional method of head-measuring uses a wooden frame with movable pins all the way around it. 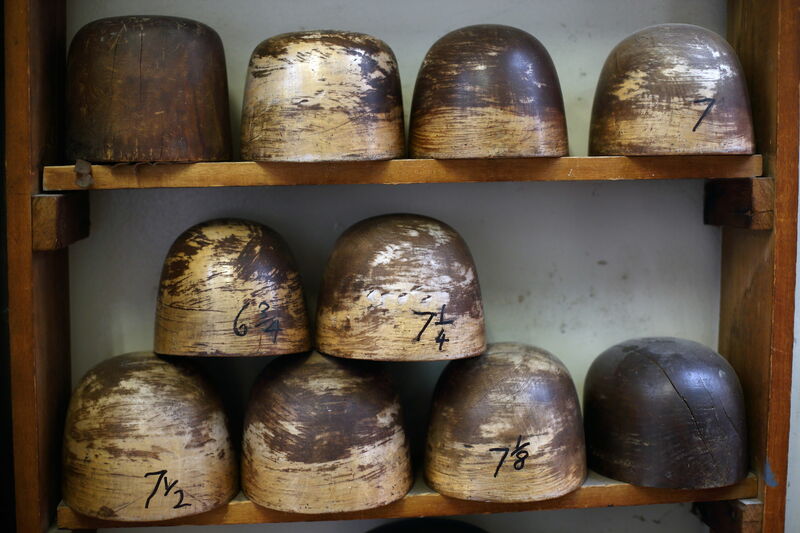 By adjusting the pins to fit the head, a perfect outline is created that can be translated onto a wooden block – in order to stretch the hat upon. The most famous user of the conformateur was Queen Elizabeth II, who required it when she had her crown fitted ahead of her coronation in 1953. Lock & Co worked with Garrard’s to adjust the crown, and then fitted the ermin around the outside themselves. 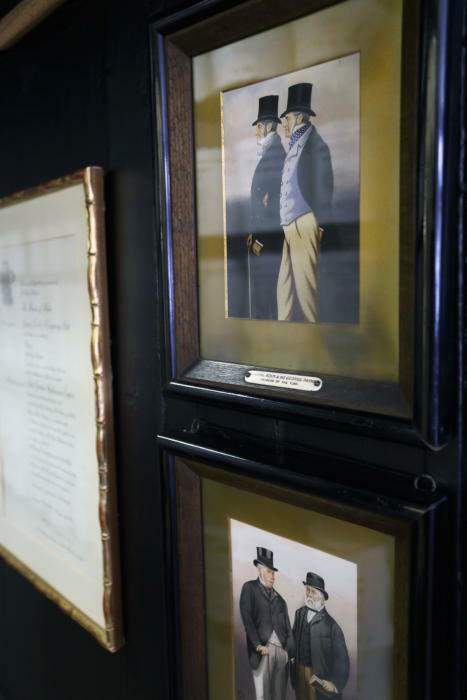 The new heritage room will have several signed shapes, as well as orders from the likes of Oscar Wilde, and the first ever commission of a bowler hat. This is an extract from the book ‘Best of British: The Stories Behind Britain’s Iconic Brands’. 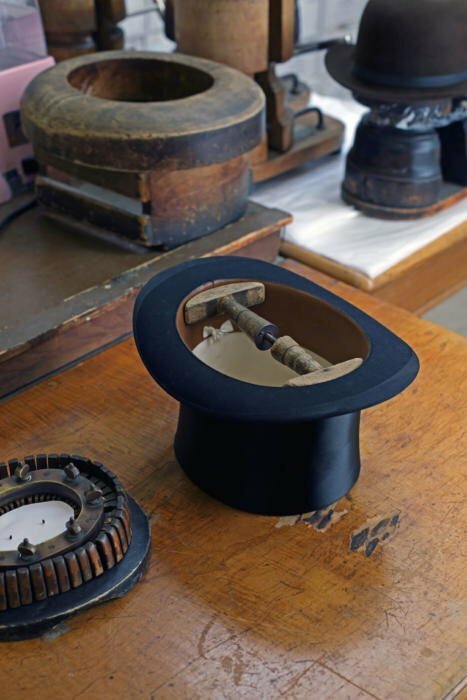 You can follow the discussion on The stories of Lock & Co hatters by entering your email address in the box below. You will then receive an email every time a new comment is added. These will also contain a link to a page where you can stop the alerts, and remove all of your related data from the site. It is a lovely place! And a friendly staff too. However, I find the service at Bates more dedicated, their staff really wants you to find the right hat, whereas at Lock they show you the options and then leave it up to you. Speaking about several occasions over the last 2-3 years buying caps and a hat. Is it true that Lock & Co no longer make any of their hats? If so, is there any benefit in them over lesser priced alternatives such as Bates or Christie or are you just paying for the name? Hi Simon – afraid I never realised Lock & Co don’t make their own hats; do you know who actually makes them, and where? I understood that their women’s couture range is produced above the shop. My wife has bought a couple from them for weddings and was very happy with the service and resulting hat. I wish I could say I’ve had good experiences at Lock. But going back more than 25 years, I’ve been disappointed every time I go in there. 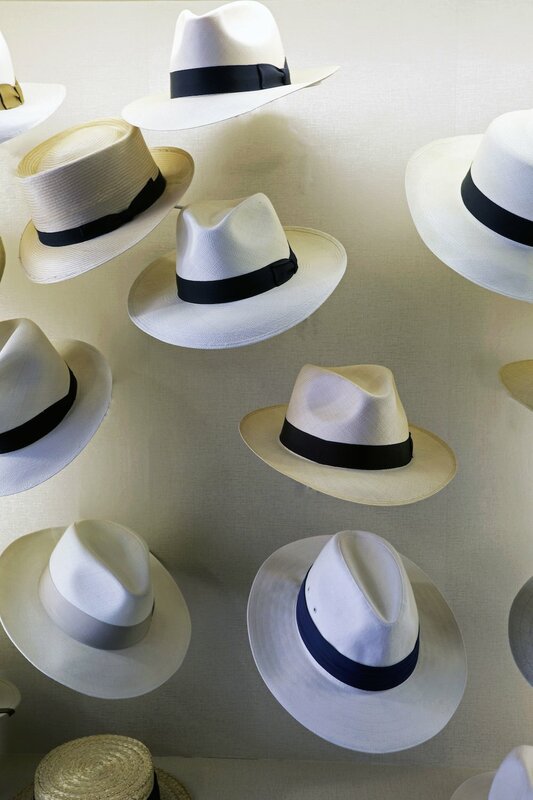 I’ve bought two inferior Panamas from them (in fact, I’d given up almost on finding a decent Panama until I discovered Brent Black), and I’ve never bought a felt hat from Lock due to indifferent service and an apparent lack of interest in helping me. I would contrast that to Bates, around the corner, where the staff have always taken the time to help and make me feel welcome. Very interesting. I’m sure that there are many of us who would sympathise with the Nelson’s fear of meeting one’s maker whilst badly attired. It’s a shame that it is almost impossible to wear virtually any type of headgear that isn’t a baseball hat, a beanie or a flat cap, without attracting stares and catcalls these days. as a keen amateur historian how does this fit in with the above which claims he didn’t really have to hide the eye? I’m a big fan of Lock & Co. Every man should own one of their Montecristi Panamas and they also give my old silk topper a complimentary clean and fitting before Royal Ascot each year – not bespoke, but great service nonetheless. Bit off piste, but Simon what on earth has happened to The Rake. I have every issue, but the latest is beyond dire! The aesthetic of the Christian Barker days is long gone. I couldn’t bring myself to give Selfridges £6.50. I thought the Freeman copy was poor, but the latest is a new low. Even GQ/Esquire were more classic/permanent style. Ever since the magazine expanded into regional editions, the aesthetic has diluted. It’s a shadow of its former glory. I stopped when I saw the tucci cover. It used to have Rakes from the menswear trade on early covers. Now it’s grown men who do let’s pretend for a living. Such a shame that it’s so mainstream in approach nowadays. A lovely place, very special indeed! You can definitely feel the old-charm era vibe in the shop. Plus the classy and elegant designs. It is sad that there are way less special places like this left than before, however we are lucky to have that one! I’m afraid I am going to have to second what has been said about the Rake. I remember reading a bit about Barbershops in London that was so generic they may as well just have copied the descriptions from the relevant website. Reminds me of those bits one can read in other magazines where it seems as though the companies’ marketing departments wrote it themselves. Hat wearing has to be the most difficult sartorial art. The gold standard has to be Delon in Le Samourai. I bought a nice fedora from Lock @ Co but the only thing it has adorned so fare is the back of my library door. Why is it they only look good with trench coats? Regarding ‘The Rake’ – I couldn’t agree more. It’s done unless they find the new male or female Anna Wintour. I think all men can look good in hats. Pretty much everyone used to wear one after all. The latest installment of Rake is appalling. Punk, jewelry, and little of classic style. The Turnbull bloke featured at back of issue is too try hard which is to be expected as he previously worked for Timberland and has no concept of classic style. A fashion bod whose designs do not work for T&A. I’m surprised but the reluctance to wear a decent hat, I own quite a collection most of which are ‘off the shelf’ from Lock & Co, although a few years ago I treated myself to a ‘made to measure’ Beaver felt, Poets hat from Adenturebilt. 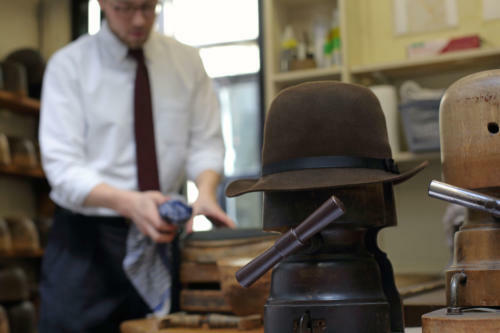 I almost always wear a hat in cold weather, only yesterday I adorned my brown “Lock & Roll” Homburg, and very often I get admiring comments from people in the street and colleagues alike. The one thing most say is “oh I wish I could carry a hat off as well as you do Ken” and my response is always the same, wearing a hat is about attitude, if you appear self conscious then people will notice and you risk looking like you are in costume, the secret is to be confident and nonchalant. Give it a go its smart, stylish and practical too. I couldn’t agree more about wearing hats despite the decline over the years for men to wear them. It does take consistency and practice though to acquire the nonchalance, as I think is the case with any dressing or style element that stands out form the crowds. Even before I ever became interested in dressing well, I always thought it looked so silly to see a man in a suit, tie, and overcoat in the dead of winter with nothing on his head, especially for men that have little to no hair. To me, it finishes the look and more importantly, keeps you warmer. I have 2 Lock &Co hats a Borsalino and a Voyager my wife has one and we love them! Found the staff in the shop very helpful and friendly and eager to make sure the hats were exactly what we required. Let’s be realistic here. Locke & Co. is supremely expensive for an outfit that basically buys white labelled product for their own brand name. By buying the same (or nearly the same hats) from the companies who manufacture for Locke the consumer will save a lot. It wouldn’t be so bad if Locke kept their margins more reasonable — but they want a huge whack merely for the experience of walking into their genuinely vintage boutique.